The Bangladesh attacks change much of what we know about the Islamic state. IS has now gone global; it has orchestrated 126 attacks in 25 countries. Looking beyond familiar hotspots in Europe and the Middle East, one is left with a list of surprising targets – Bangladesh, Indonesia, Niger, Nigeria, Philippines, Pakistan, and Somalia. These countries are not failed states. Nor do they house active conflict zones. What they have in common are weak institutions, repressive governments, and large Muslim populations. On July 1, armed attackers stormed into a quiet Dhaka café and held over thirty diners hostage. The twelve-hour standoff ended with a swift army operation and a brutal massacre. It showed that militant groups can thrive in pseudo-democracies. Bangladesh has a growing economy and until recently, an active and engaged citizenship. Prior to controversial elections in 2014, it had one of the highest electoral turnout rates in the world. But the state suffers from a crisis of governance that precedes the current Awami League (AL) regime. Its two leading parties have both focused on an aggressive struggle for power instead of governing. Since Bangladesh’s democratization in 1991, the ruling Awami League and opposition Bangladesh Nationalist Party (BNP) have embedded themselves in the country’s institutions. From bureaucracy to law enforcement, all sectors are deeply politicized. Their tug-of-war has created a political vacuum that religious groups have gradually filled in rural areas. Religion plays a small role in formal party politics. Bangladesh is a majority Muslim country; its people are fairly conservative but secular folk. The leading Islamic party, the Jama’at-e-Islami, draws on a small voter base and has served as a coalition partner for both AL and BNP. But religious groups have long existed as aid agencies in the rural scene. They have served the rural population alongside development organizations as part of Bangladesh’s poverty-oriented development strategy. Religious politics took a radical turn since the late 90s with the emergence of violent extremist groups, such as the Jamaat-ul-Mujahideen Bangladesh (JMB) and Harkat-ul-Jihad. But their activities faced into the background as part of the average Bangladeshi’s everyday struggles; party wars had already allowed violence to spill over from the electoral sphere into everyday life. In 2013, events surrounding a controversial War Crimes Tribunal changed the political scene. The tribunal charged Jama’at leaders with war crimes committed during Bangladesh’s brutal 1971 Liberation War. The trials prompted a massive protest, led initially by the Bangladesh Online Activists and Bloggers’ Network (BOAN), where people demanded the death sentence for war criminals. Verdicts led to the hanging of several Jama’at leaders and the party being banned from politics due to its anti-Liberation activities. The Shahbag protests triggered a backlash. Jama’at claimed to pursue a progressive agenda as part of its electoral platform. But the party’s radical wing Shibir went on a violent rampage. 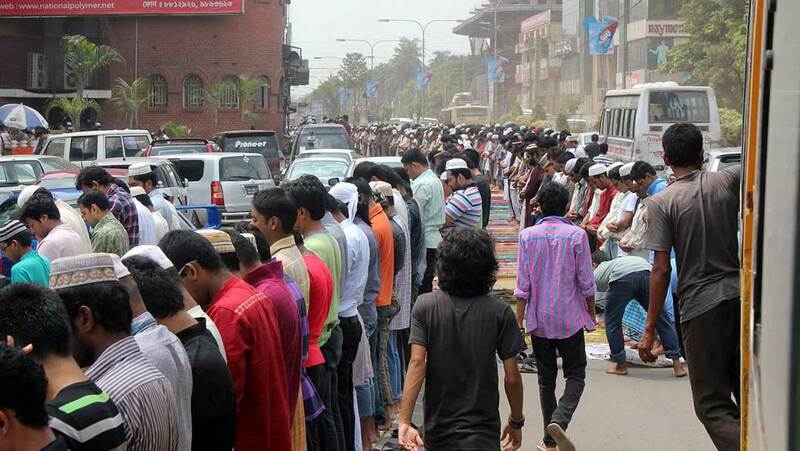 In April, thousands belonging to a previously unknown group called Hefazat-i-Islam marched into Dhaka city. Their leaders sought to unban Jama’at, punish “atheist” bloggers, and create an Islamic state in Bangladesh. According to unofficial reports, the government killed scores of its people that night. Bangladesh has identified as a democracy since 1991. But its governments, which are hybrid regimes at best, have become increasingly repressive. The current Awami League regime has devoted most governing institutions to strengthening its hold on society. The police are engaged in an ongoing crackdown on opposition leaders and activists. In 2014, Awami League won a largely one-sided election that BNP boycotted as many of its leaders remained jailed. And in January this year, police detained 7,000 opposition activists over two weeks during opposition protests on the anniversary of elections. Party politics has spilled over from public to private educational institutions; on July 16, the government announced that Awami League’s student wing, the Bangladesh Chhatra League (BCL), will establish committees in over ninety private universities. There is little space left for free expression. Under a controversial amendment to Bangladesh’s Information Communications and Technology Act, the government may imprison without warrant or bail, any individual who tarnishes the image of the state or person or causes hurt to religious beliefs. Citizens are now losing the limited civil and political freedoms that they once enjoyed. In Bangladesh, weak institutions, repressive governments and a large Muslim population have provided transnational terrorist organizations with the perfect recruiting ground. Local extremist groups such as JMB and Harkatul Jihad have trained and armed its followers as governing institutions have looked the other way. At the same time, increasingly repressive governments have marginalized large groups of young men and women who are potential recruits, ripe for the picking. The Bangladesh attacks also illustrate a shift in the Islamic State’s modus operandi. Holey Artisan is not a high profile target. It is a low-key local favorite in an elite-residential-diplomatic-commercial zone that is tucked away at the end of a quiet street and overlooks Gulshan Lake. Unlike Dhaka’s other bustling cafés, Holey is an easy target with an available escape route. The attackers were not suicide bombers. Unlike other IS-motivated attacks, they held diners hostage. The Holey killings fit a different pattern. They resemble local attacks on prominent writers, activists, and academics, where victims were hacked to death. They suggest new methods, devised by locally trained recruits. It is now evident that local groups such as JMB and HT are competing to join Al Qaeda and IS, and at the same time, transnational terror organizations are reaching out to established militant groups. What we have now is an increasingly complex web of organizations and operations. For example, both IS and Ansar-al-Islam, the Bangladesh wing of Al Qaeda in the Indian Subcontinent (AQIS), claimed the Holey attack. IS published brutal pictures of the Gulshan attack hostages before the siege was over; Ansar-al-Islam hinted on a possible attack in a diplomatic zone hours before the attack. The Islamic State is expanding its reach with alarming speed. It is no longer targeting only the West. Nor does it need a failed state to expand its operations. All it needs are willing participants in a state that excludes its citizens and fails to deliver on its promises. We cannot expect to contain IS by continuous bombing or increasing boots on the ground. Bangladesh has no shortage of soldiers. The country is well-equipped with an elite force, SWAT teams, and an army that contributes significantly to United Nations Peacekeeping forces. Rather, militancy must be contained with a plan to eliminate bases of recruitment. Locally established militant organizations make easy targets. In order to nip terrorism in the bud, affected countries must take it upon themselves to eliminate homegrown terrorism. This cannot be done with bombs, but rather, by building inclusive polities and strong, effective institutions. Nayma Qayum is an Assistant Professor and Chair of Asian Studies at Manhattanville College.